This article was sponsored byÂ Cloudinary. Thank you for supporting the partners who make SitePoint possible. 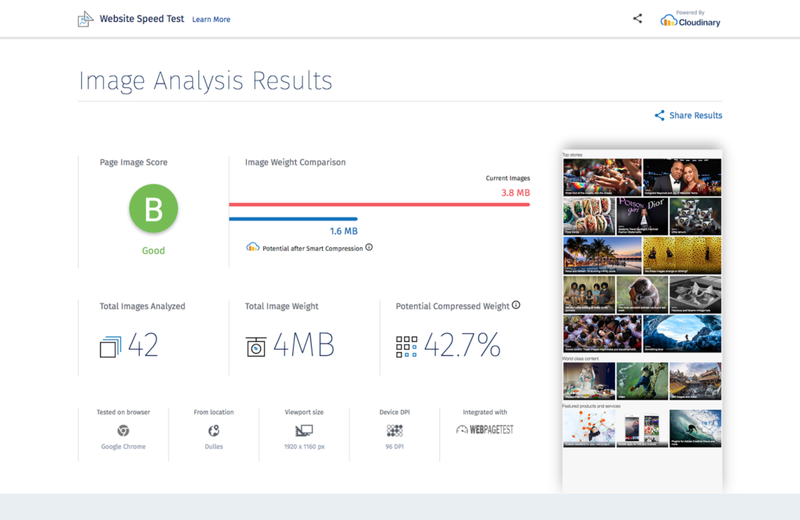 Website Speed Test is an image analysis tool that provides detailed optimization insights beyond a simple compression check. 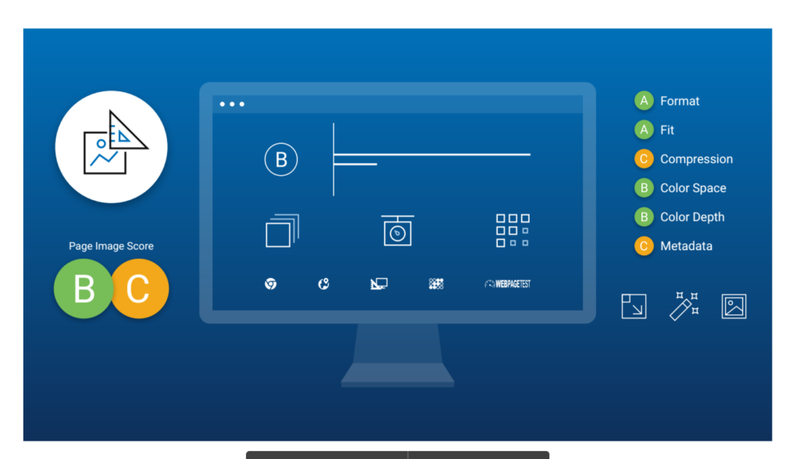 The tool leverages Cloudinaryâ€™s advanced algorithms to demonstrate how changes to image size, format, quality and encoding parameters can result in significant reductions in file size while maintaining perceived quality. 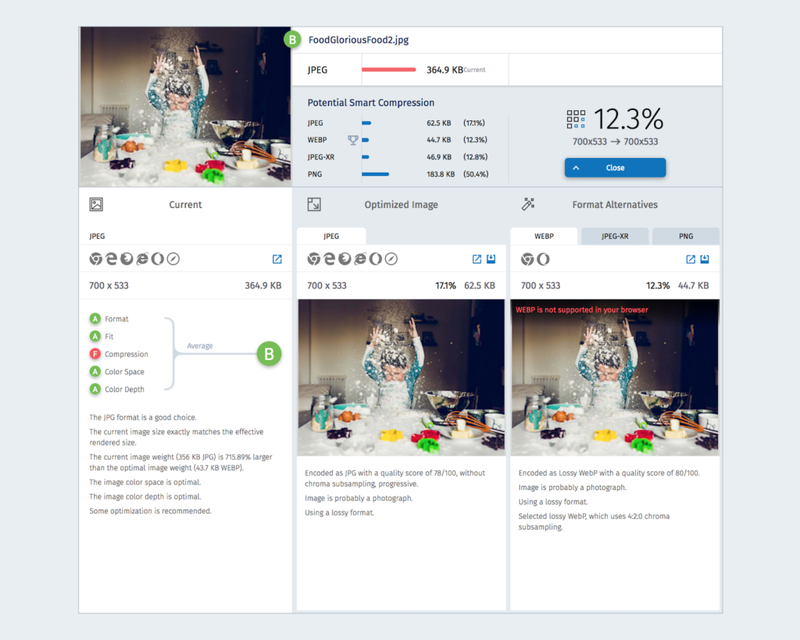 In short, Website Speed Test shows the why and how of image optimization. At the top of the page, the report shows the total weight of images, potential compression and â€˜Page Image Scoreâ€™: a grade ranging from A-F. This grade is based on the image format used, fit between image resolution and the displayed size in the graphic design, and compression rate of all the images that were analyzed. Accomplishing this type of optimization is no ordinary feat. Optimizing images for different browsers, devices and bandwidth requires considerable knowledge of the intricacies of image formats, encoding parameters and visual quality metrics. For example, it makes sense that a smaller image file size will result in faster load time, less bandwidth usage and a better user experience. However, reduce the file size too much, and image quality could suffer and impair user satisfaction. This is where Cloudinaryâ€™s automatic optimization comes in play.